Classed as a 3 Star boutique hotel, this fully renovated hotel with modern facilities and suitable for the disabled, is located within an historical building in the 6th Arrondissement and has free WiFi, international papers, 24 hour reception and buffet breakfast available, plus each room comes with en suite bathroom, courtesy tray and personal safe, etc. 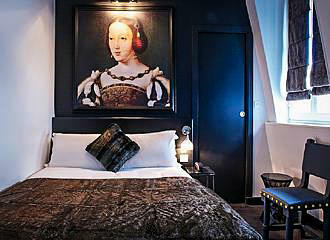 This hotel is located in an old building that dates from the time of King Francois I back in the 1500s, when it was called the Hotel de la Salamandre, and was home to his mistress the Duchesse d'Estampes. 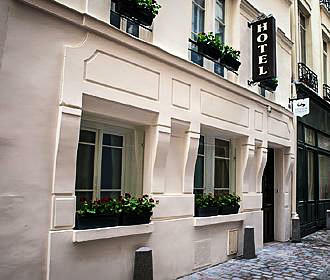 However, in more recent years it turned into a budget 1 Star hotel called Delhy's, which still had original quirky features, but this is no longer the case, as it was recently completely renovated and turned into a modern boutique hotel that has gained a 3 star rating, with a name change as well to Le Clos Notre Dame. 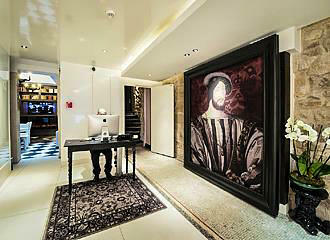 Being that the hotel has such a rich history, there were many preservation guidelines that had to be adhered to whilst undergoing its complete renovation, so it still contains that old fashioned feel inspired by the Renaissance period, yet with modern touches including a lift being installed. You can still see some of the old stone walls and some of the rooms still have original wooden beans showing on the ceiling, along with original mosaic style tiling on the floor and the original spiral wooden staircase located next to the expose stone wall of the building, which have been fully restored to provide the authentic touches to this historical building. In keeping with the Renaissance style and the history of the former Hotel de la Salamandre the decoration by the interior designer, Laurent Maugoust, encompasses a contemporary style with originality, which includes pictures and paintings of King Francois I and the Duchesse d'Estampes, along with books relating to the history of Paris and the Kings of France within the library that you can enjoy while at the Hotel Le Clos Notre Dame. You will find that this 3 Star hotel has air conditioning as well as heating along with a lift for a convenient way of accessing the rooms, plus there is library lounge and a 24 hour reception with friendly staff willing to help you get the most out of your stay. There is breakfast room, where a buffet breakfast is served between 7:30am and 11am daily, which includes breads, pastries plus accompaniments like jam, French cheeses and charcuterie, along with one of the French specialities of macarons on offer, not forgetting fresh fruit juice and hot beverages. The Hotel Le Clos Notre Dame offers a luggage hold service for those you who arrive prior to check-in or wish to leave later and get the most out of your holiday in Paris, and when you wish to catch up with the news, etc there are international papers supplied along with free WiFi. 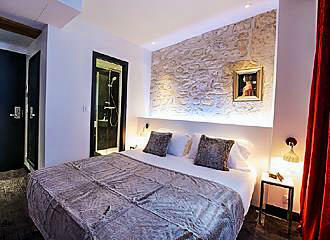 Also, upon booking with this boutique hotel you will have access to a dedicated App for your Smartphone, which is called LoungeUp that will provide information and help for tourist attractions, making restaurant reservations and even ordering room service, plus with this App you can save time by checking in to Le Clos Notre Dame online even before you arrive. There are also rooms available for meetings and other functions, with the first being the Executive Meeting Room that can accommodate 10 to 12 people, and another that can accommodate between 15 and 25 people, plus there is a work room for 1 to 4 people. Yet Le Clos Notre Dame can also arrange cocktail parties for up to 45 people and lunches can also be organised by prior arrangement as well. 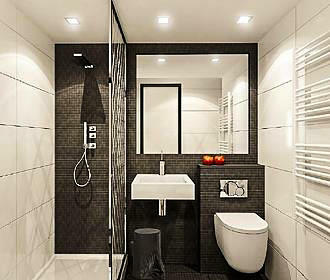 There are a total of 16 rooms at this 3 star hotel, which all come with soundproofing, air conditioning and heating depending upon the time of year, with each having a modern and luxurious en suite bathroom with an Italian style shower and hairdryer. Each room comes equipped with a large flat screen TV and so many international channels to choose from with at least 10 per language in 30 languages, you could never be without something to watch, yet there is also free WiFI, a telephone, a desk with a lamp and a courtesy tray with tea and coffee making facilities, plus a personal safe. There are single rooms that are equipped with a 140cm bed for added space and comfort within a room of approximately 13 metres squared, then there are double rooms, which the Hotel Le Clos Notre Dame call La Favorite and have a 160cm wide bed with a space of approximately 15 metres squared or there are Twin rooms called the Secret at a rough size of around 14 metres squared. Located in the 6th Arrondissement of Paris close to the River Seine, the Ile de la Cite and many other tourist attractions plus museums within the heart of the historical Latin Quarter, the nearest Metro station in the Pont Saint-Michel stop serving Line 4. Yet this is also an RER train station serving the RER B Line and the RER C Line, but walking a little further in a south westerly direction from the hotel you will get to the Odeon Metro stop that serves Lines 4 and 10. However, the Bus Lines 21, 24, 27, 38 and 85 along with the Noctilien Night Bus Serive via Lines N12, N13, N14, N21 and N122 will also get you within walking distance of the 3 star Hotel Le Clos Notre Dame, plus there is a public car park located close by as well.